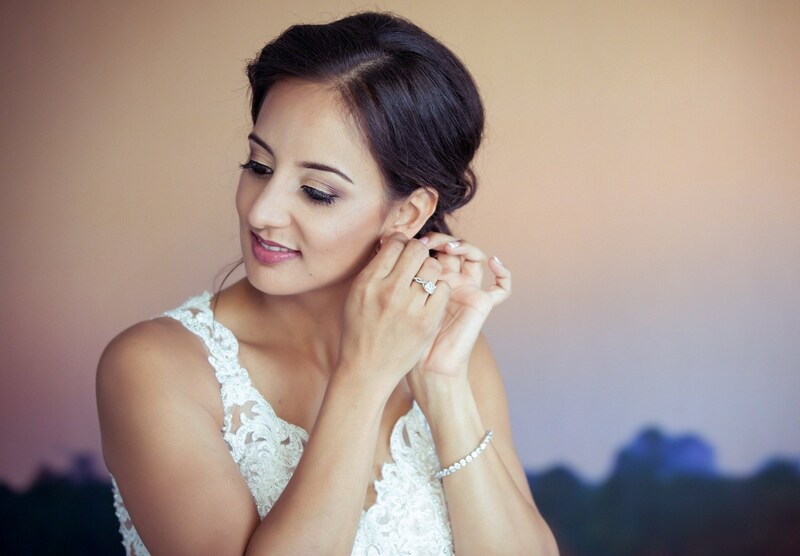 Special thanks to bride Deanna Patel who wore our beautiful tennis bracelet at her wedding! 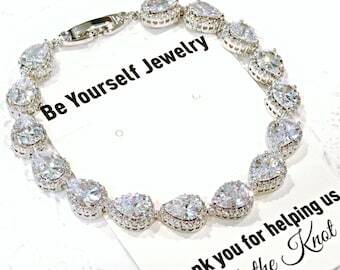 Swiss Cubic Zirconia Diamond Tennis Bracelet made with environmental copper, white gold plated, AAA+ 0.5 carat Swiss CZ stones. 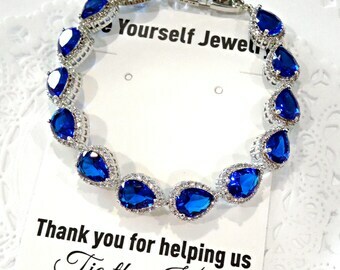 This is a classic, elegant and expensive looking bracelet! Pictures does not make it justice! A real red carpet jewelry for a fraction of the price. Perfect for brides, bridesmaids and special occasions! - High quality, tarnish resistant and highly detailed. Don’t forget to follow us on Facebook, Instagram, Twitter and Pinterest.